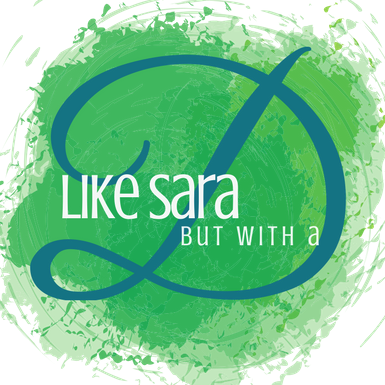 The holiday season generally comes with some sort of trip to visit family. Sometimes that means a road trip, but sometimes that means a flight across the country or even abroad! 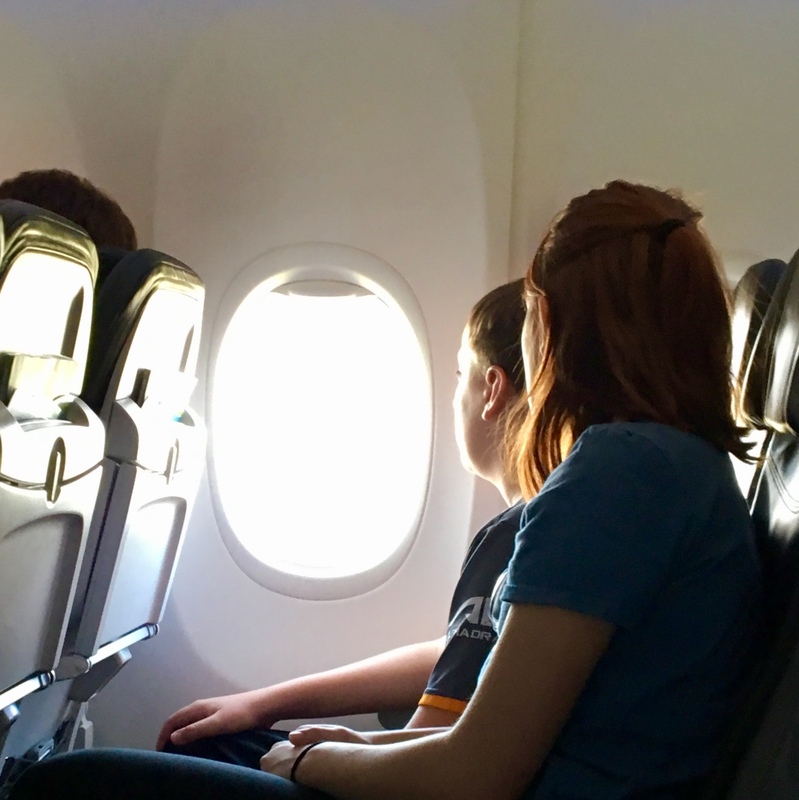 Taking your child on an airplane for the first time can cause a little anxiety in any parent, but I am here with some tips to get you through it in one piece and without any extra gray hair. 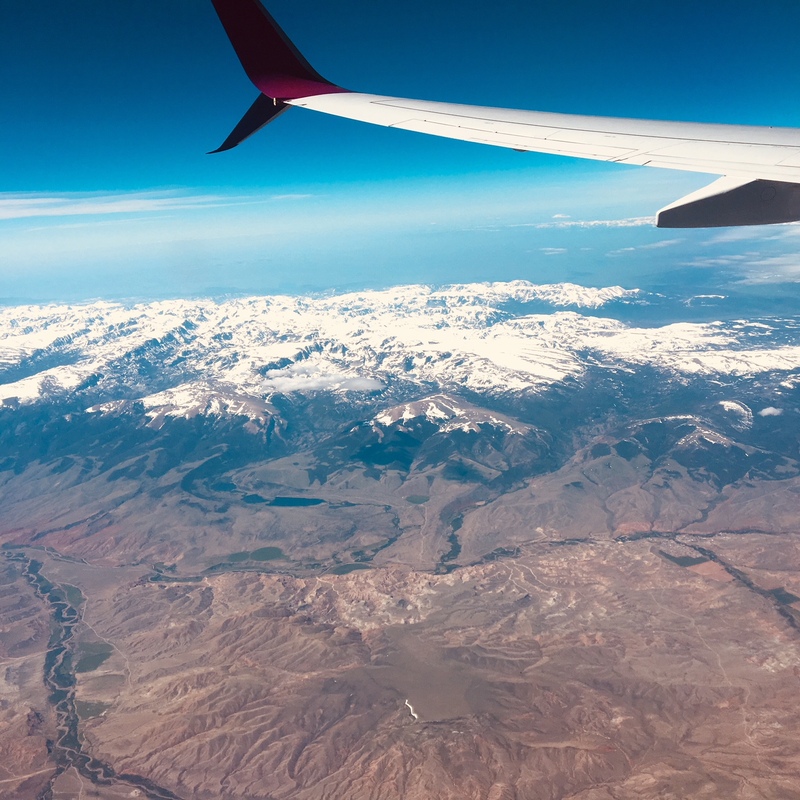 This past summer, we took a family vacation to visit my father in Sitka, Alaska.Since we live in North Carolina, it was a long day of flying to get from our house to his, and this rather extensive day of flying marked the first time my son had been on an airplane. Yep. I am not entirely sure it was wise to schedule his first time flying on a trip that included 5 airports one of which is on a small island where the runway literally drops off into the ocean, but that is how the cookie crumbled. I was more than mildly anxious that he would freak out a little bit. I spent a lot of time talking to him and explaining the cool things about flying on a plane: stuff you can see from the window, how the weightless feeling at take-off is the most comfortable you will ever be like ever, the neat things to see/do in an airport, how flying from the east coast to the west coast is basically time travel, and whatever else I could think of to make the trip seem like a really cool adventure. He was so pumped to get to the airport, he was the first one ready that morning. You can set the tone for the trip. If you are anxious, you can bet that your little one is 100% gonna pick up on that. 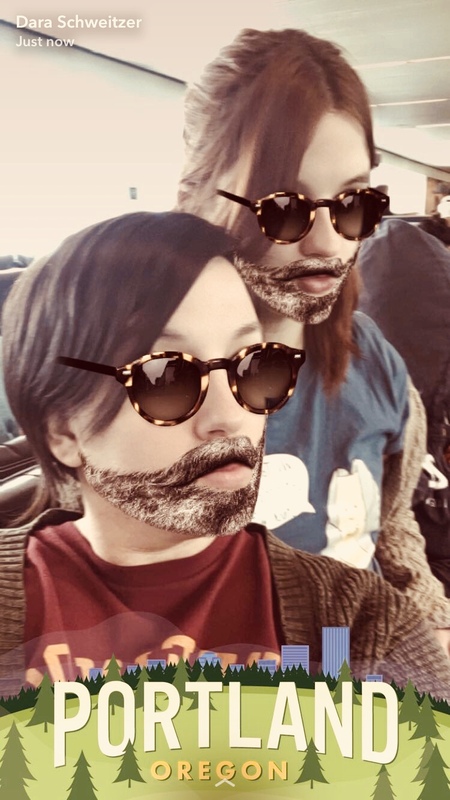 I told my husband and my teenage daughter that under NO circumstances were they allowed to say anything negative leading up to the flight. We had to show no fear, no matter what…even if take-off was a little shaky. So even if you aren’t the best flyer, fake it til you make it momma! Make sure you have a solid plan so that things go smoothly. Plan ahead so you know where to park, where to catch the shuttle, and where to check luggage. Make sure you leave yourself plenty of time to get through security so you aren’t running to your gate. Try to take out as much stress from the day as you can, again this is setting the tone and keeping everything in adventure-mode. Pack a bag full of things to distract and entertain your little one. I mean once you reach cruising altitude flying is super boring, and a flight from Atlanta to Portland takes hoooouuuurs. We had books, handheld video games, legos, madlibs, drawing supplies, and playing cards. Plus, a few snacks are not a bad idea either. Make sure you tell them about the ear popping before you fly! You don’t want a mini-meltdown when the ears start hurting. I always fly with chewing gum to try and ease some of the discomfort, and even if it doesn’t really work, it at least has a placebo effect. Those are my tips! My little guy was super stoked to start the trip and loved every minute of flying and hanging out in the airport. He wasn’t in the slight bit nervous, and by the time we were on our third plane for the day, he read his book straight through take-off. I do plan to write a post about our trip to Alaska, but I haven’t edited the vacation photos yet! They are still on my camera (um..the trip was in June…don’t judge!) I will definitely share that adventure sometime soon. 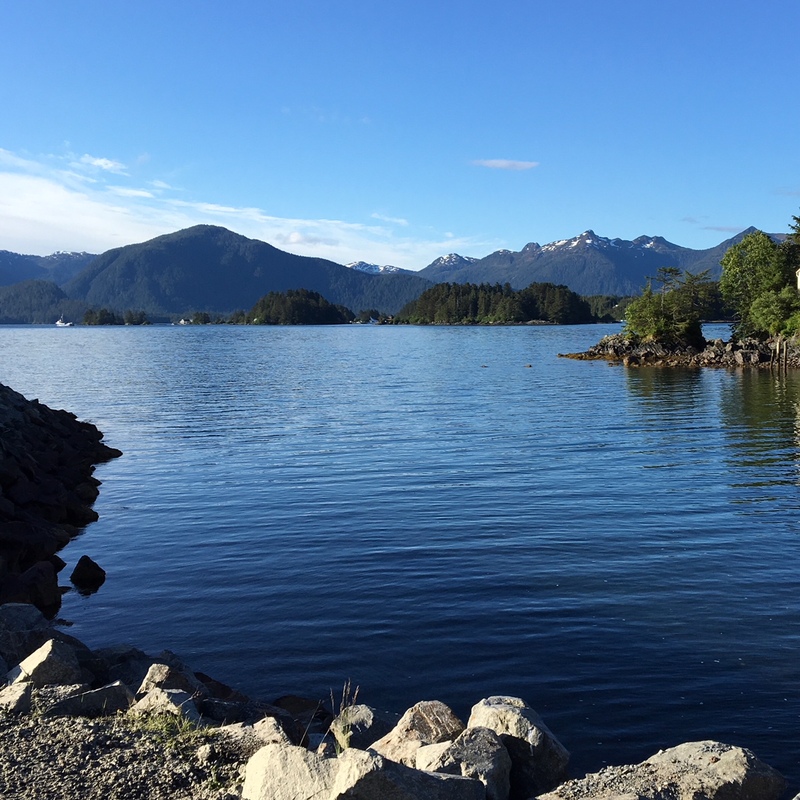 Until then, I leave you with this gorgeous pictue of the bay on our last morning in Sitka. 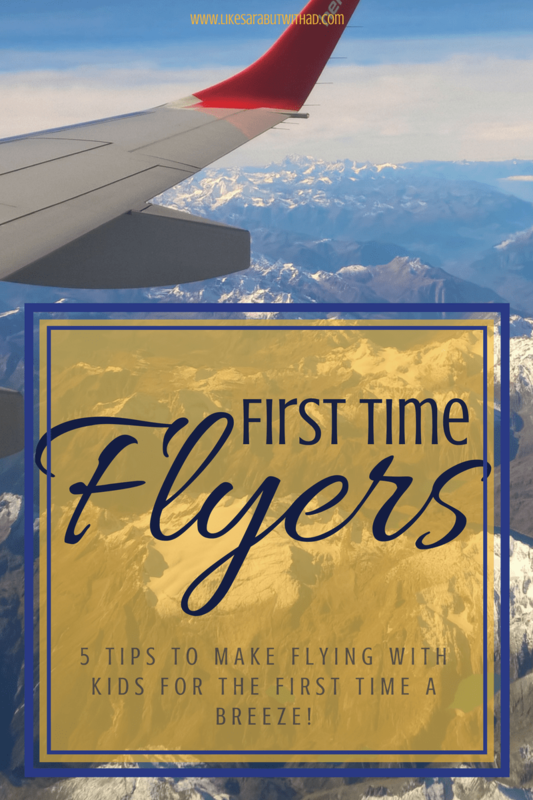 Do you have plans to take a little one flying soon? What tricks do you have up your sleeve? Thank you very much! I’ll read this to my mother. We are going to visit my sister on May and shes FRIGHTENED. You are very welcome! I hope that your mom ends up loving to fly and becomes a jet-setter!